Rally Brings Bikers from All Walks of Life: Proud of Cyndi Nance former dean of the law school at the University of Arkansas, member of Good Shepherd Lutheran, and now board member of Bikes, Blues, and BBQ. Someone recently gave me a copy of the bulletin for the 1987 20th anniversary rededication of Good Shepherd Lutheran Church in Fayetteville, Arkansas. Let it be known that the first information in the bulletin was the menu--smart move. Menu included: Roast sirloin, baked ham, or turkey and dress; whole potatoes in white sauce, broccoli spears, or yellow corn; salad bar, rolls, coffee/tea, and apple cobbler. Mission statement: The Congregation is a group of Christian persons to whom the Gospel of reconciliation has been given. Purpose and mission: To focus and coordinate the resources and activities of the members to the end that the triune God may be more fully made known to all people. This will be the continuing ministry to members through the Word and Sacrament of the Church. They, in turn, will be encouraged to dedicate themselves to bear witness to their Christian faith in fullness and by every possible means, and to perceive and extend the unity of that faith. -- Specifically, this congregation commits itself to the proclamation of the Christian faith in the community in which it is located as as well as to all people everywhere, and among the membership through faithful use of the Means of Grace. This congregation shall also continuously seek avenues of service in Christ's name which will extend into all areas of human need. Generations like to name their greatest influences, whether it is in art, science, or theology. Typically it takes a while to evaluate this, because fame does not equal influence, nor does influence equal influence, in the sense that someone who is very widely read at the time does not always translate to subsequent generations, whereas someone mostly ignored in their lifetime later rises to prominence. A colleague was recently asked by an older pastor and lectionary study group participant to name the theologians that were most influential with us "younger" clergy. This particular pastor name Joseph Sittler and Paul Tillich, among others. For this exercise, I set a limit. I had 15 minutes to write down as many names as possible. They had to be living theologians, preferably alive and still writing. I had to have read at least a few books by anyone I mention, and I had to have had significant conversations about their work with pastors or fellow theologians. I tried to break them down into lists (theologians like Sittler, theologians like Tillich), and they needed to be theologians I value reading right now, and I believe have a fighting chance of being theologians that endure. This is certainly not a comprehensive list. It's enigmatic and unique to me as a reader. But I think it's helpful at illustrating what a profound and transformative generation of theologians we inhabit. 1. Church should be interesting. The Scriptures are interesting. God is interesting. When the assembly gathers for worship, preaching and worship should reflect this. Too little of it does. 2. The church should be safe. It is a refuge for those who are lost and abused, and it needs to be a safe place for those seeking solace, comfort, and care. It should especially be safe for those (like, for example, the LGBT community, minorities, and the poor) who find it difficult to find safe places in our culture. 3. The church should seem saintly not sinful. Often our sinfulness in the church is a barrier to those outside the church hearing the gospel and trusting in it. It is a travesty that we fight so much, and care so much about our own internal disputes that we do not often reflect the glory of God to the world. 4. Laity are the new monastics, and all the skepticism concerning monasticism in the reformation period applies equally to clergy today. Clergy, though simply one of the baptized, hold a sacred office in the church, and the spirit works that office for the upbuilding of the church. Elevation of the laity at the denigration of the minister of Word & Sacrament is damaging to the church. 5. More worship (and more sermons) should be clear, to the point, and focused. Too often we have not done the hard work of focusing our preaching and worship to the point where it resounds, clear and tonal, like a poem. 6. Churches should enforce the law more often. Too often we are the last refuge for those who wish to flout the law, such as predators, and in general people who lack boundaries and are antagonistic and know that churches are confused about what grace actually is, and how to be assertive while simultaneously being gracious. 7. That really is bread and wine you are eating in the Eucharist. Hopefully someone in your congregation made it and grew it. 8. That baptized person next to you in worship really is not yet a member of your own body, but will be, eschatologically, in the resurrection to life in Christ. But then they will be Jesus. And so will you. And Jesus will be in God. And beyond that I have no idea how to describe stuff that far beyond the beyond. 9. The church is a closed set, not a free for all. We have a canon, and a creed, a rule of faith, and dogma and doctrine that have developed over time, and there are ways of preaching, teaching, and living that are outside of this set. 9.5 God is genuinely interested in what kind of music you listen to, because God is a fugue. 1. Church should be boring. Very little in Scripture indicates that worship and life together should be thrilling. There are not sporting events, concerts, movies, novels, or entertainments in the biblical witness. Promising that church will be exciting sets up a false expectation that is not sustainable long-term, and lacks truthfulness. 2. The church should be in danger. Collectively we tend to work for safety, gather for safety in numbers, and worry when the building isn't locked up, the finances aren't steady, etc. But the church of Jesus Christ is thrown into the world not for safety and security but for the neighbor and their needs. 3. The church should seem sinful not saintly. That most churches appear to be constituted by the upright and moral is a problem, because Christ's church was originally formed of prostitutes, tax collectors, and other sinners. The middle class, bourgeois captivity of the church sends a signal to the poor, downtrodden, and outcast, that the church is not for them except inasmuch as the church benevolently "helps" them. 4. Clergy are the new monastics, and all the skepticism concerning monasticism in the reformation period applies equally to clergy today. The laity "elevate" the priesthood and fail to see their own vocations as holy callings from God. The clergy still enjoy the benefits that come with this "elevation." 5. More worship (and more sermons) should be incomprehensible, mysterious, and downright weird than is currently the case. All our attempts at "rational" worship are vitiating the holiness of worship. 6. Churches should break the law more often. Many current legal structures violate the gospel, and the church has become too co-opted by the culture to even know it is being co-opted. 7. That really is Jesus Christ you are eating in the Eucharist. Don't miss it. 8. That baptized person next to you in worship really is a member of your own body. Literally. For all eternity. Get used to it. 9. The church is an open set, not a club. If the church is living as a church, strangers will come in and change things. And just when the strangers have gotten used to the changes, more strangers will arrive. So church is always estrangement, and that is a good thing. 9.5 God probably doesn't care that much what kind of music you like. Tomorrow night (Tuesday, September 27th, 9 p.m. CST) we're hosting a tweetchat on #bookoffaith. Anyone can participate, with participants in an upcoming Book of Faith consultation as lurkers and participants. This your chance to offer significant feedback to a group that will be looking at the future of the Book of Faith Initiative. Here's how you do it. Go to http://tweetchat.com and log in with your Twitter id (if you don't have a Twitter account, you'll need to create one first). Once you are logged in, enter "#bookoffaith" in the box at the top of the page and then click the "Go" button. This will take you to a "room" that is designed to just read posts with the hashtag #bookoffaith (some of you may already use other tools like Tweetdeck to accomplish something similar, but this is the free and easy version). Tomorrow evening (Tuesday the 27th) at 9 p.m. This is an experiment, from 9-10 p.m., we'll just host a conversation around Book of Faith on Twitter, and see how it works. That can be our test run, and if we get participation, we can try it again next week at the same time slot, or a different time per your suggestions. Does this work for some of you? Share this news with your social networks and invite people to join the conversation. Even if it doesn't work for you, or you don't use Twitter for religious reasons, chime in on this thread with your thoughts. Lately, I've been thinking that "spiritual growth" is a shibboleth (everything I say here about "spiritual growth" can also be applied to the fancy term "discipleship" as well). Lots of traditions argue that spiritual growth is essential, or think they have a hold on what it looks like. But almost any person or community who considers themselves more mature spiritually than others typically isn't, and when we start getting around to describing what spiritual growth looks like, we often end up with tautologies. I'm not saying there are no spiritual giants. Clearly there are. I've met a few. I've read about even more. But often spiritual greatness is mixed in equal measure with depravity of some kind. And those who were mature sometimes slip back into juvenile behavior, while those considered immature show great spiritual insight. All of which is to say that I'm skeptical of "growth." We are to return to our baptism daily. Every day we wake up infants. We do grow up--we study, we worship, we are strengthened in faith, we persevere, the spirit lives in us. But we also slip and stick--we don't study, we skip worship or enter it faithlessly, we doubt, we run away, we squelch the spirit. As committed as I am to study, regular worship, and all the practices expected of those who are living wet, I just don't see the kind of growth everyone is talking about. God's grandeur and the grace of Christ levels the playing field, and I think we just live each day on that field, playing as children of God. 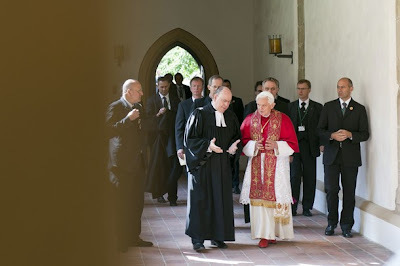 ‎"What we need in the Lutheran Church today is not more leaders who can recite the Confessions or argue with others about a pure understanding of grace, but those who have taken the hard journey of spiritual transformation, the necessary death and resurrection of self, and freely and joyfully embody the grace of God in Christ in every human interaction." Discuss. In my experience in the ELCA, there are very, very, very, very few pastors of the first type you mention. There are many who would like to think they are of the second type. We probably need more of the first than we think, and are unlikely to actually go on the journey that will get us to the second type. And ultimately, it's a false distinction. The people who wrote the confessions and took a stab at articulating a pure understanding of grace were also those who had gone (or were going) on the hard journey. So, my analysis is that your overall thesis is unhelpful because it portrays the first person as dogmatic when they might not be, and the second person as the hero, when in fact their heroism might be vacuous and inflated. Click here to listen. Although the sermon is kind of loose conceptually and doesn't tie everything together as well as I had hoped, it does tease out a number of faithful things worth pondering, and includes a cover of a Jonathan Rundman song mid-sermon. 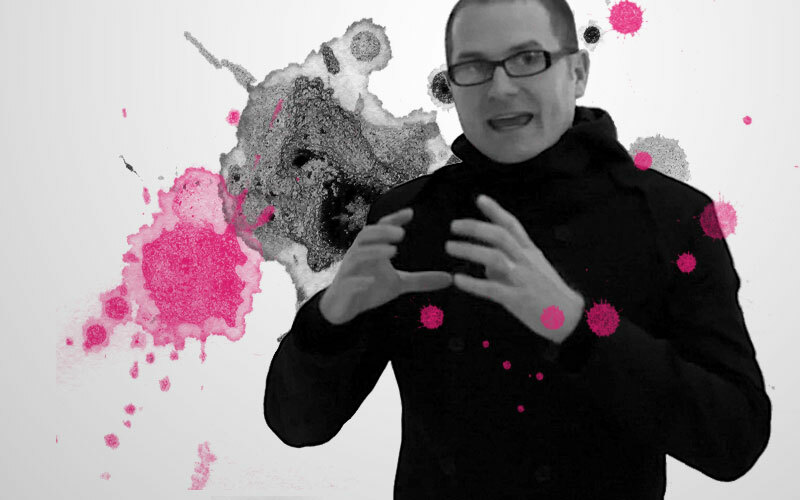 Rob Bell has always amazed me as a communicator, even though at times his wardrobe and theology have left me a little bemused. That's fine. We need more wacky people out there, especially wacky people in high places. I have loved it that Rob Bell grew a mega-church (in Michigan of all places) while keeping his wackiness intact. Now he is leaving Mars Hill to launch a "smashing" tour, and he describes the content of the tour this way, "several hours of entirely new content I haven't given before, exploring all the exhilarating ways we stumble and fumble and fail and bleed and limp along and just how good and sacred and thrilling it all is." That sounds really fun, in the way Blue Like Jazz and Anne Lamott are fun. I'll be praying for him tomorrow as he explains his departure to his mega-congregation. And I'll be praying for his congregation, which probably feels a bit shell-shocked right now. And I note one concern: it seems his tour is going to be about "I" and "we." I hope it will also be about "God" and "Christ." Too much about us and our rather obvious (if colorful) failures will not a great tour make. The Council of Religious Organizations for the University of Arkansas meets monthly during the academic year in Room 305 of the Union. It's a nice space, celebrating the history of African-American students on campus. However, no African-American groups were represented in our meeting. This time around, the group included representatives from the Presbyterian (United) campus ministry, Anglican, Roman Catholic, a variety of evangelical and baptist groups (sorry, I don't remember them all. * I was impressed with the longevity of some campus ministers, a couple are in the 25th and 30th years respectively of campus ministry at the U of A), Hillel, and YoungLife. Today Daniel Pugh was the presenter, and gave us updated information on the growth of the university and the student body, and the impact that has on their ability to provide counseling, support, housing, etc. If memory serves, they were at 20,000 students just a year or two ago, and this year they are at 24,000, anticipating a student body of 25,000 in 2012-2013. This is growth way beyond what they had expected. The reasons for it are many, including a special lottery grant that provided low tuition, low tuition for out-of-state neighbors (a large percentage of whom come from Texas), and a growing reputation nationally for the quality of the school, which leads to them drawing in more out of state students (currently their ratio is 53% in state, 47% out of state). Some interesting facts. First, the ratio of students on campus with a 4.0 has increased. Students with grade points like that make use of counseling and other services more often. So they are looking at needing to provide new and deepened support resources if the general grade point of the student body goes up. Similarly, the much larger number of incoming freshman this year has caused a revolution in the Greek programs on campus. Pledging, etc. is way up. This is actually very good for the fraternities and sororities, it requires them to step up the quality of what they offer, gives them more revenue to work with to provide housing and meals, etc. However, the university is dealing with a lot of space and housing issues. Additionally, an increasing number of students are food scarce, and rely on food banks and other resources to eat. Arkansas has a high rate of poverty, and a low ratio of college graduates. One of the goals of the university is to build a knowledge economy in the state, and to leverage the work of the university to produce new jobs and innovation in the state and especially Northwest Arkansas that leverage new funding and support for the university. I found all of this quite fascinating, and it really does help those of us who are developing new or nurturing existing religious organizations on campus. We can see how we might contribute to the whole, how our role fits within (or in juxtaposition to) the larger system. I was especially intrigued by the university's commitment to using the Gallup Strengthsfinder resource with all students, and in all areas of academic and extracurricular life. I can already imagine some creative ways we might offer conversation and discipleship around spiritual gifts that meshes well with that inventory, and might be some ways to help students relate their academic and professional development to their spiritual development. I especially wish I could encourage the university to offer guidance to incoming students on the importance of connecting intentionally to a religious community, of establishing patterns of giving and service, and seeing study abroad and interfaith, multi-ethnic conversation and life as integral to their development as students and people. * My best excuse on this is somewhat lame, but goes as follows: if you say you're with a church, but you don't give me something to latch on to, like a tradition, history, denomination, etc., it's hard for me to be clear on who you are or what you represent. Are you creedal, biblical, denominational, confessional? What are you? That's my question. I know needing to ask this is a failure on my part, but nevertheless is where I'm at. "The experience of growing up online will profoundly shape the workplace expectations of “Generation F” – the Facebook Generation. At a minimum, they’ll expect the social environment of work to reflect the social context of the Web, rather than as is currently the case, a mid-20th-century Weberian bureaucracy. 6. Groups are self-defining and -organizing. On the Web, you get to choose your compatriots. In any online community, you have the freedom to link up with some individuals and ignore the rest, to share deeply with some folks and not at all with others. Just as no one can assign you a boring task, no can force you to work with dim-witted colleagues. So, readers, here’s a couple of questions: What are the Web-based social values that you think are most contrary to the managerial DNA one finds inside a typical corporate giant? And how should we reinvent management to make it more consistent with these emerging online sensibilities?" Sermons are, at least in part, on "thinking" the human, and the resolution of difficult notions. Not that a sermon is going to offer all the answers to "life's most persistent questions" (ala Guy Noir, private eye), but that it will at least take on those notions, going to Scripture and coming back with a good word. Preaching should never be pablum, or boring. It needs to stick to the big, difficult stuff, because we have a big, difficult, and amazing God. This Sunday, we take on one of the great Lutheran paradoxes. Luther, in the freedom of a Christian, wrote, "A Christian is a perfectly free lord of all, subject to none. A Christian is a perfectly dutiful servant of all, subject to all." Our lessons offer an opportunity to explore the truth behind this dialectic. See you in worship. God Repents, But Do We? Audio is now live for the sermon from September 18th. Not every sermon is a sermon about Jonah. This one is! A few more words about "religionlessness." You probably remember Bultmann's essay on "demythologizing the New Testament." My opinion of it today would be that he went not "too far," as most people thought, but rather not far enough. It's not only "mythological" concepts like miracles, ascension, and so on (which in principle can't be separated from concepts of God, faith, etc.!) that are problematic, but "religious" concepts as such. You can't separate God from the miracles (as Bultmann thinks); instead, you must be able to interpret and proclaim them both "nonreligiously." Bultmann's approach is still basically liberal (that is, it cuts the gospel short), whereas I'm trying to think theologically. What then does it mean to "interpret religiously"? It means, in my opinion, to speak metaphysically, on the one hand, and, on the other hand, individualistically. Neither way is appropriate, either for the biblical message or for people today. Hasn't the individualistic question of saving our personal souls almost faded away for most of us? Isn't it our impression that there are really more important things than this question (--perhaps not more important than this matter, but certainly more important than the question!?)? I know it sounds outrageous to say that, but after all, isn't it fundamentally biblical? Does the question of saving one's soul even come up in the Old Testament? Isn't God's righteousness and kingdom on earth the center of everything? And isn't Romans 3:24ff. the culmination of the view that God alone is righteous, rather than an individualistic doctrine of salvation? What matters is not the beyond but this world, how it is created and preserved, is given laws, reconciled, and renewed. What is beyond this world is meant, in the gospel, to be there for this world--not in the anthropocentric sense of liberal, mystical, pietistic, ethical theology, but in the biblical sense of the creation and the incarnation, crucifixion, and resurrection of Jesus Christ. Barth was the first theologian--to his great and lasting credit--to begin the critique of religion, but he then puts in its place a positivist doctrine of revelation that says, in effect, "like it or lump it." Whether it's the virgin birth, the Trinity, or anything else, all are equally significant and necessary parts of the whole, which must be swallowed whole or not at all. is the precentage of 1,004 U.S. adults polled who say they are more likely to develop their own set of religious beliefs than to accept a comprehensive set of beliefs taught by a particular church. Once again illustrating that those of us who are confessional anything are now a major religious minority. I knew it in principle, but the numbers are striking. Jonah 3.10 When God saw what they did, how they turned from their evil ways, God changed his mind about the calamity that he had said he would bring upon them; and he did not do it. The Hebrew term "nhΩm" is translated in the NRSV as "God changed his mind." The term as defined in Brown-Driver-Briggs indicates something more along the lines semantically of "relent," "rue," "be sorry" or "repent." I believe you can make a rather cogent argument that God responds to repentance with repentance, not unlike God's responding to human sin by becoming human. Although how we express this matters quite a bit, a base line for me is that we really can't make sense of what prayer is and what it signifies unless we are free to talk about God "changing," and specifically God being a God of mercy who relents and repents. Seeker: "Am I among the elect?" Seeker: "How do you know?" Pastor: "You are elect because in Jesus' name I now promise that you are." Seeker: "But it's plain that I am barren soil." Pastor: "When Christ comes sowing, all things are possible." Seeker: "When will that happen to me?" Pastor: "I just told you. This is it." Most motivational experts teach that leaders do not actually motivate anyone from the outside. Rather, leaders create a set of circumstances that cause people to behave in ways that match the motivations already present in their minds and hearts. This past Saturday I drove to Tulsa with Tom, a student at the University of Arkansas who is active in our congregational life, to attend the installation of the new bishop of the Arkansas-Oklahoma synod of the Evangelical Lutheran Church in America. Tom's role was to serve as a "crucifer" (carrying a lit candle during the procession). His evangelical or non-religious friends were asking him, "Did you get to wear a dress?" To which he could answer, "Yes," because indeed all those in the procession wore robes. Synods in the ELCA elect a new bishop (or re-elect the current bishop) every six years. Among other things, the bishop is the public sign of unity for churches in our denomination. We are a big synod, encompassing two expansive states and the pan-handle of Texas. So the bishop has a big job in being a sign of unity in a place with such geographical breadth. The new bishop is Michael Girlinghouse, formerly pastor of University Lutheran Church in Norman, Oklahoma. He's a long bearded man, very kind, with experience in campus and congregational ministry. He seems to have strong theological and liturgical sensibilities. I quite like him, and was glad to be at his installation. The added bonus for me in attending this installation is that bishops from other synods also often travel to be in attendance, and my former youth pastor, Michael Rhinehart, now bishop of the Gulf Coast Synod (centered in Houston) was in attendance. So we had a chance to connect a bit. Tom and I stopped at the mall in Tulsa prior to the installation for a spot of lunch. We ate at an Indian restaurant. I was wearing my long linen shirt, a gift from a recent wedding where I was the officiant, and the woman who was running the restaurant, simply loved my shirt. As a result, we got a big plate of extra appetizers. Which goes to show that wearing "non-traditional" clothes in public has a clear pay-off. We then headed to Fellowship Lutheran in Tulsa for the installation. Nice building and facility. Chatted with clergy in the synod. Our church represented well, with about five members in the choir, a lector, a crucifer, and above six more folks present simply to worship (have I mentioned that Good Shepherd in Fayetteville is a rocking and involved congregation?). All the pastors processed in. All of them, except for me, brought albs and red stoles to signify their ordinatinon. Without really intending to, I ended up being the odd one out, and so I was forced to think about clothes a bit. I happen to think that if you aren't in a worship leadership role, there's no special reason to dress up. I'd rather look like everyone else. Although in this case wearing a linen shirt was not looking like everyone else. No matter. It's pretty much impossible to look normal anymore, because weird is the new normal. I had expected a great sermon from the presiding bishop, Mark Hanson, but this time around I was disappointed. He's a great preacher, and I often love his messages, but this sermon rang false. He preached a very legalistic sermon about getting out and fulfilling the Great Commission (Matthew 28), but it wasn't concrete, and he seemed to imply that gathering for worship to install a new bishop wasn't itself part of the Great Commission, an implication I would contest. I happen to think that the office of bishop, rightly understood, is theologically integral to the fulfillment of the Great Commission, not ancillary to it. So Bishop Hanson missed a golden opportunity to help this group of very active Lutherans understand how the new bishop is a sign of unity and a Spirit-given office for "making disciples" and baptizing. Worship like this in Wisconsin would have been an opportunity to try out new and alternative hymns, etc. But that's because Lutheranism is dominant in Wisconsin. Here in Arkansas, worship was an opportunity to be traditionally "Lutheran." Processionals, classic hymns (A Mighty Fortress), communion, etc. Therefore proving once again how contextual worship always is even when it doesn't mean to be. Then a nice reception, and a drive back across Cherokee Nation to Fayetteville. Great conversation along the way with Tom on life and school. Road trips are grand. One more reason why I thought Bishop Hanson's message rang false, because I actually thought inviting a college youth and driving him to Tulsa for the installation was an example of disciple-making, not a distraction from it. Welcome to the office of bishop, Michael. Together, let's make disciples and get out baptizing as a synod! Can I convince you to start reading theological quarterlies? Am I allowed to gush over a theological quarterly? The new issue of Pro Ecclesia is reason to. Recent issues have begun to coalesce a theme or symposium that takes up a majority of the issue. In this case, there are two. First, a "Symposium: Karl Barth on Christology and Metaphysics." In this section, they have invited Thomas Joseph White, O.P. to examine classical Christology as it has developed through Schliermacher and Barth from a Thomistic perspective. I know, you've been waiting up late at night for the arrival of a resolution of certain developments in Christology after Schliermacher and Barth, and had assumed a Thomistic perspective would do the trick. Am I right? But here's what's so wonderful about the way Pro Ecclesia has addressed this. They've done it like the academic journal version of a blog. White writes his essay. Then Keith Johnson responds to the essay. Then White responds to Johnson. And Frederick Christian Bauerschmidt analyzes the developing dialogue between the two. Of course Pro Ecclesia accomplishes all this in the manner readers of the journal have come to expect. The conversation is intentionally embedded in academic theological discourse with a heavily Roman Catholic (read Thomistic) bent. But that makes the conversation all that more energizing, because even if you are not yourself a Thomist, you get to listen in on the conversation. This is really the kind of stuff that feeds my preaching and teaching as a pastor. I can't recommend it highly enough. Then, the review section this time focuses on Stanley Hauerwas's outstanding theological memoir, Hannah's Child: A Theologian's Memoir . Pecknold successfully pulls off a review essay that is an "Augustinian" reading of this memoir (think Augustine's Confessions (Oxford World's Classics) ). Other reviews of recent books by or about Hauerwas include: The State of the University: Academic Knowledges and the Knowledge of God (Illuminations: Theory & Religion) , Christianity, Democracy, and the Radical Ordinary: Conversations between a Radical Democrat and a Christian , and Unsettling Arguments: A Festschrift on the Occasion of Stanley Hauerwas's 70th Birthday . By the time you finish this issue of Pro Ecclesia, you have a more thorough grasp of the differing perspectives on Christology in Schliermacher, Barth, and Aquinas. You have read critical and engaging reviews of recent work by perhaps North America's most famous theologian--Hauerwas. And best of all, you know a bit more about why both of these topics matter. Have I convinced you yet? Finished two great books last night and today, The Leftovers by Tom Perrotta and Christianity and the Social Crisis in the 21st Century: The Classic That Woke Up the Church by Walter Rauschenbusch. The first is a completely secular (and so more objective if also less fantastical) take on the Rapture. A rapture occurs, but not according to any rules various faiths might have for who is taken. For those who are curious, Adam Sandler is raptured. The pope is not. As a result, new religious fanatic groups crop up trying to make sense of the new occurrence, others lose their faith because they were not raptured, and so on. The joys of the book include the great writing and winning characters, and the exploration of grief and loss (if explorations of grief and loss can be joyous). I found the conclusion less tight than the middle of the novel, but all in all it's worth reading. Rauschenbusch's is a classic I never got around to reading, a book I thought I would be assigned in seminary but never was. In some ways, this new edition of the book is like a brief seminary class, because each chapter includes a short evaluative essay at the end by theological luminaries like Stanley Hauerwas, Joan Chittester, Cornel West, Jim Wallis, Richard Rorty, James Forbes, etc. Perhaps Hauerwas summarizes the impact of Rauschenbusch's book best when he says that after Rauschenbusch, there is no gospel that is not "social gospel." The impact of his thought is far-reaching, if also not fully realized. 1. Study abroad- enhances students' levels of equanimity, ethic of caring, and ecumenical worldview. 4. Philanthropic giving- This one enhances each and every spiritual quality, and is probably the least emphasized. I'm convinced we need to be teaching college students stewardship, especially financial stewardship. 5. Interracial interaction- increases cognitive complexity, ethic of caring and ecumenical worldview. 6. Leadership training- This is the one that gets a ton of attention already. 7. Contemplative practices- These are among the most powerful tools at our disposal for enhancing students spiritual development (148). "One of the surest ways to enhance the spiritual development of undergraduate students is to encourage them to engage in almost any form of charitable or altruistic giving" (147). Disclaimer: If you read this book, be forewarned that is more a scholarly summary of research than an engaging literary text. If you've read research studies in research journals, you'll be familiar with the tone of the writing and approach. It's not bad, just "like that." Be prepared. When reading novels in translation, I've come to the conclusion that translator is as important, neigh more important, than author. If a spectacular novelist is translated in a wooden and inaccurate fashion, it would be better not to read them at all. When the only thing that exists is a poor translation, the only other option is to actually learn the language in which the book is written. I've actually met people who learned Greek to read Zorba the Greek in the original, for example. Several times I've considered doing this in order to read some of my favorite novelists in Russian, but have never taken on the Herculean task. Russian is a big language to learn. War & Peace is a big novel to read in a foreign language. In such a case, 2 + 2= seemingly impossible. However, there are some spectacular translators of Russian literature, and so in the meantime, until I learn Russian, I'm reading translations by great translators. I finished one just last night, Boris Jakim's translation of Fyodor Dostoevsky's Notes from Underground . It's less well-known than some of Dostoevsky's more famous works, but compares favorably with them. It has the additional merit of being short, helping readers see in miniature some overall directions Dostoevsky will go with his later fiction. It's like the voice of Crime and Punishment without the breadth and depth. I first came across Boris Jakim because I was into the theology of Sergius Bulgakov. Jakim's translation of his The Lamb of God is remarkable. It's a big, difficult book, but Jakim faithfully renders it. Bulgakov should be more widely read, especially in Lutheran circles. Jakim is making that a greater possibility. But back to Notes. The first half of the book is the internal narration of the dark inner life of the narrator. The dude is dismal, misanthropic, quixotic, and perversely focused on self-destruction. While reading it, two distinctly contrary thoughts come to mind. 1) How can anyone think like this? 2) I think like this and seldom admit it to myself. Which I believe is the kind of paradox Dostoevsky seeks to evoke. After a long narratorial introduction, there is actually a "story" of sorts. It's centered on one scene in particular where the narrator gets himself invited to a farewell party for someone he inwardly despises. Oh, and there is this very long and memorable scene which you really have to read, like really, but to give a taste, essentially the narrator agonizes over a plan to simply bump into someone else who has ignored him on a previous occasion, but in order to bump into this person on the street, he needs to wear the right clothes, so he has to borrow money from a friend to buy a beaver skin to replace the mink fur he currently wears on his outer jacket that he feels lacks the gravitas necessary for such a public occurence. The third phase is a long conversation with a young woman in a brothel where he, in effect, convinces her to save herself from the dismal prospects of the life she leads, but he does so all again for perverse reasons. In the fourth phase, he rejects this woman when she arrives at his door. There the novel ends. "It would even be better if I myself believed at least something of all the things I've just written, I swear to you... that I don't believe a word, not one little word, of all the things I've just scribbled! That is, I do believe it, perhaps, but at the same time, who knows why, I feel and suspect that I'm lying like a shoemaker" (35). Shouldn't I end my "Notes" here? I think it was a mistake to begin writing them. At any rate, I've been feeling ashamed all the time I've been writing this story: it's not so much literature as corrective punishment. After all, to tell, for example, long stories about how I've ruined my life through moral degradation in my corner, through the lack of an appropriate environment, through a divorce from real life, and through vainglorious spite in the underground--this, honest to God, is not interesting: a novel needs a hero, whereas here all the traits for an anti-hero have been assembled on purpose: but chiefly, all this produces an awfully unpleasant impression because all of us are divorced from life, all of us limp along, some more, some less. We're so divorced from it that we sometimes feel a sort of revulsion to real "living life," and therefore can't bear to be reminded of it. We've reached a point where we almost regard real "living life" as a labor, as something akin to civil service, and inwardly all of us agree that it's better in books. Except for this book, of course. And perhaps today we'd say "all of us agree that it's better on-line, or on Facebook." Having finished the book, I'm ready to go out and read some more of Jakim's translations, including his forthcoming translation of Bulgakov's Relics and Miracles: Two Theological Essays , and Dostoevsky's The Insulted and Injured . Thanks to Eerdmans for publishing these spectacular translations. Only wish they were more widely available in bookstores in place of the lesser Penguin and generic translations. We moved to Fayetteville in December of last year, and one of the attractions was Nightbird Books. I love independent bookstores, especially ones with outstanding coffee shops, and Nightbird is spectacular on all counts. In addition, it was neat to see the community being built around books at Nightbird. Some fascinating book groups meet there. It occurred to me that, in the same way some people like to read sci-fi (I do), and others love to read romance, there are likely folks in Fayetteville who geek out over theology. So with that insight, I started putting together a plan to host a Theology Table at Nightbird Books. The series of books we are reading this fall I've titled "Canon, Creed, and Comparative Theology." Each of the books we are reading looks at how the canon functions, what creeds are, how canon and creed are related to each other, and how this matters for comparative theology. Comparative theology is the study of theologies of various religions out of the specific theological tradition in which one is situated. I think this Theology Table will be attractive to those who are interested in academic scholarship in theology, and anyone interested in the development of the biblical canon and the creeds. The list of books is idiosyncratic to the one organizing the book discussion (me). These are some of my favorite authors, writing on topics that I think really matter for interfaith dialogue and self-aware theological reflection in the 21st century. We start this week discussing Robert Jenson's Canon and Creed, a new book in the Interpretation series of out Westminster John Knox. Interpretation is a longstanding and reputable biblical commentary series. Canon and Creed is the first volume in a series on vital themes of scripture. Robert Jenson, in a contest a few years ago, was ranked in the top five living theologians. He is interesting and enigmatic. His prose "pops." His book will surprise and enlighten you in turns, as he analyzes the development of the biblical canon into its final form, similarly the creeds, and the implications of that development for our understanding of how to read and use the canon and creed in the contemporary life of faith. Interfaith conversation partners are welcome to this conversation, because your insights will be invaluable to the group in helping us learn how individuals for various religious traditions hear and "overhear" the conversation of those in traditions other than their own. Thank you to Nightbird Books for the opportunity to sit at table Tuesdays at 5 p.m. I look forward to the great food, coffee, and fellowship. It's official, the Book of Faith study I wrote for Augsburg Fortress is now out! It's a four week bible study keyed to the lectionary texts for Advent of 2011. Perfect for small group and congregational study. This was one of the most joyous writing projects I have ever been involved in. AF is awesome to work with, the Advent texts are some of my favorites for the whole church year, and writing a curriculum like this brings together the pastor-theologian role in a pleasant fashion. Please consider making use of it in your congregation or small group this winter. And tell me what you think! Description: Keeping time according to the church year is a grace, not a requirement. The grace of Advent is best received in community. These sessions, together with the liturgy and preaching supports, offer an opportunity to awaken to the gift of time provided by the celebration of Advent.